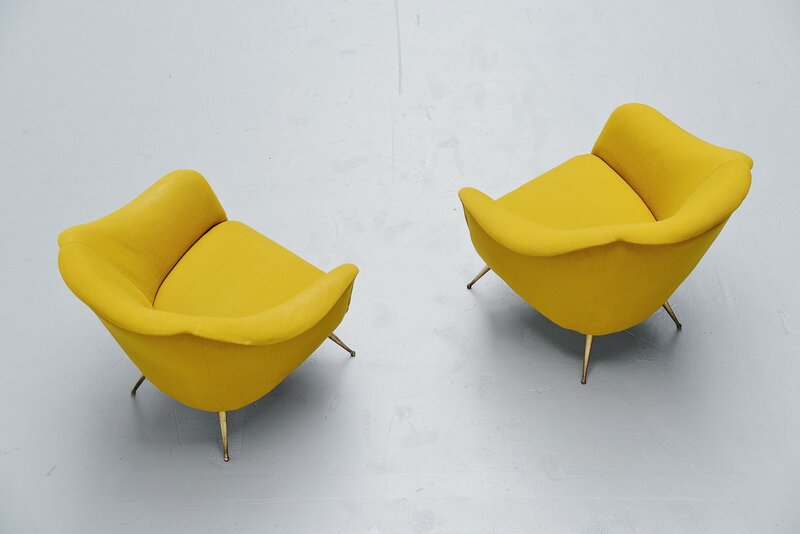 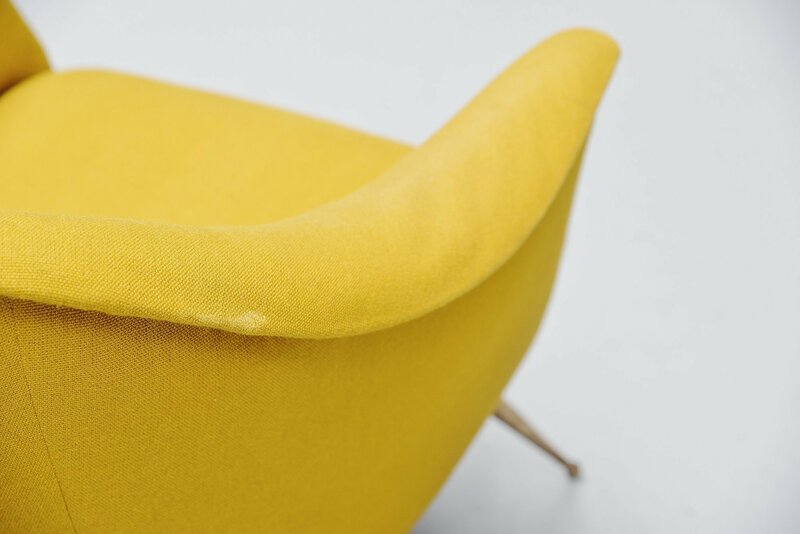 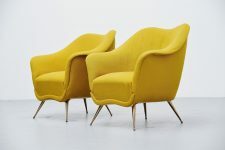 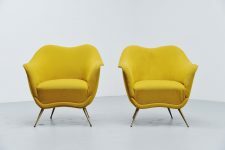 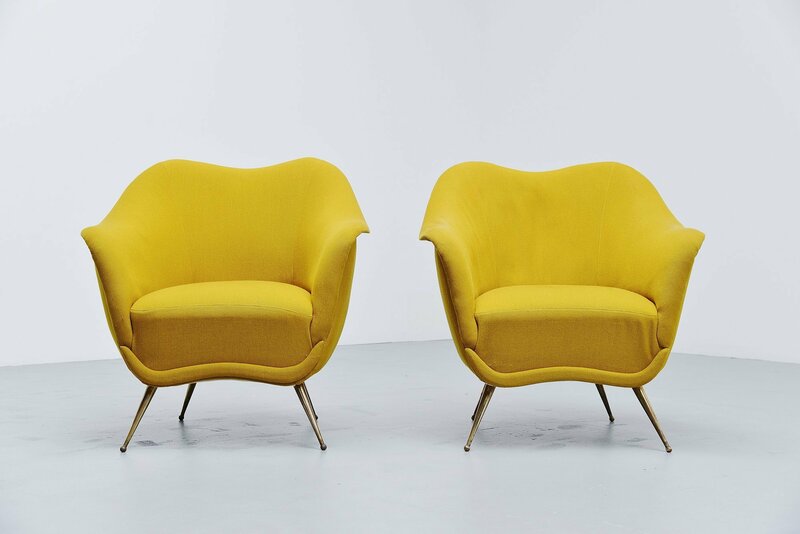 Fantastic shaped club chairs designed and manufactured by ISA Bergamo, Italy 1950. 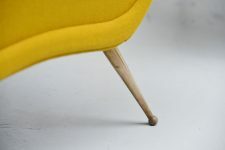 These chairs have solid brass legs and original ocre yellow upholstery. 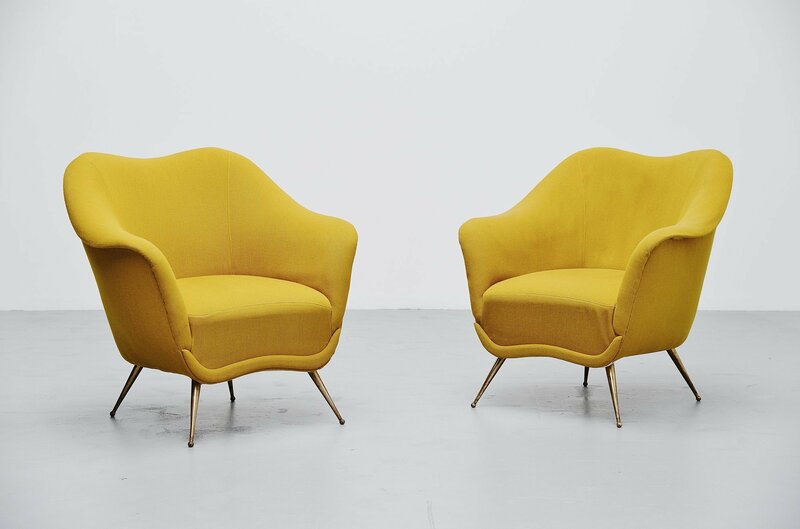 The chairs have an amazing typical Italian fifties organic shape. 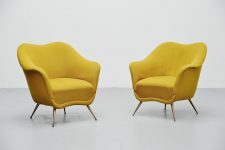 The chairs have their original upholstery which is in okay condition but not perfect. 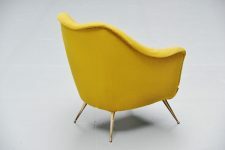 We can arrange reupholstery in any wanted fabric. Also the legs can be cleaned into shiny brass if wanted as these have a patina from aging. 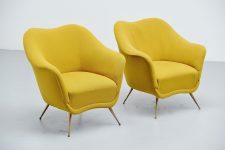 The chairs are in fully original condition as they are now, but already look amazing with a lot of charm for someone who loves chairs with a history.